APIA INTERNATIONAL SYDNEY, Jan. 13, 2016 – Everyone is talking about Novak. In 2014, it seemed like everyone thought Rafael Nadal, Andy Murray, Roger Federer and Stan Wawrinka could still win a Slam, or an ATP 1000. But in 2015, it changed, radically. Djokovic won 11 titles, three of which were Grand Slams, six ATP 1000s and one ATP 500. With the exception of falling to Wawrinka in the final of Roland Garros, he won every time he needed to. Last week, the Serbian crushed everyone to win Doha, blowing out Nadal in the final. Now, according to almost every player, Djokovic is dominating. On Wednesday in Sydney, the Aussie Bernard Tomic said that other than downing Djokovic, the young guys are finally ready to upend the elite, veteran players. Tomics, who beat the fellow Australian Jordan Thompson 6-2, 6-2 to reach the quarters, just shook his head. Tomic, who had reached the semifinal of Brisbane and then lost against his buddy Milos Raonic, agrees with Grigor Dimitrov that the very good young players can beat the Big 4 plus 1 this season. But maybe not against everyone. 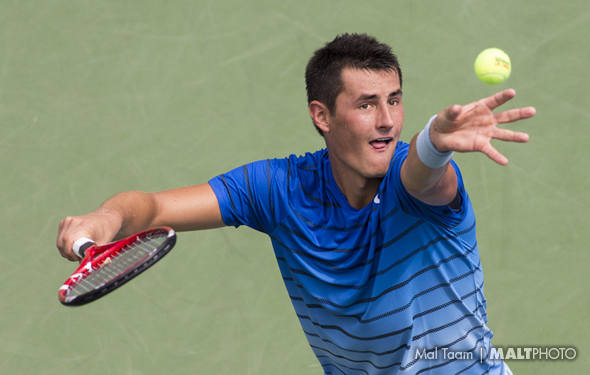 By the way, Tomic is now ranked No. 16 at the Aussie Open. In one way, it’s more important to win the tournament in Sydney again because he will continue to get more confidence. But it is also important that he won’t be able to play against the highest player until at least the Round of 16. He is very pleased. Dimitrov, who lost against Federer in three sets, says he is getting closer and closer – even though he thought he should have won. On Wednesday, he beat Pablo Cuevas 7-6(2) 6-4. Dimitrov will face Alexandr Dolgopolov in the quarterfinal, which should be a fun match, as both men have a tremendous amount of spin. A few years back, Dolgopolov reached the second week at the Aussie Open. He had enough variety that most thought he would eventuallycrack the top 5. He was unable to do so and he may never reach the top 10. He is just not strong enough. But next week when the Aussie Open begins, there are plenty of players who can punch their tickets into the second week. Three of the interesting veterans are still alive in Sydney: Viktor Troicki, Gilles Muller and Jeremy Chardy. Dimitrov wants to win a major some day, and soon. He truly believes that someone can play as well as he can – or he is locked into the zone – and stun Novak. Whether or not Simona Halep wins the title here in Sydney, or at the Aussie Open, give her credit for sticking in there. The world No. 2 has been dealing with an inflamed Achilles heel for months and she was forced to pullout of Brisbane. But all she wanted to do was to simply play again, so she went on court and even though it could hurt her, she has been running as fast as she can. 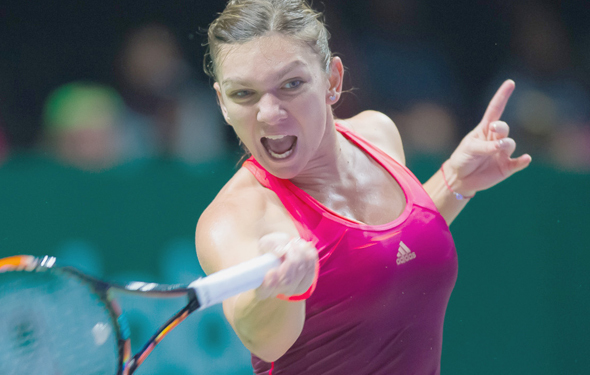 On Wednesday, she beat Karolina Pliskova 6-4 7-5 in a very close match. She yanked the Czech around time and time again until she frustrated her. She’ll face Svetlana Kuznetsova in the semis, who beat Sara Errani 7-6(1) 6-0. The Russian veteran said the reason why Halep has risen over the past two years is because she is simply more consistent. It is hard to know if Kuznetsova will play great on Thursday. As she said, she pushed herself too much last year so now she wants to be calmer and more relaxed this week. ‘Whatever wind was blowing,” she said. Here was the big upset: the 22-year-old Monica Puig took out Samantha Stosur 6-4, 6-4. Stosur had a decent draw, but she looked pretty slow. If she reaches the second week at the Aussie Open, Australians will be crying in joy. The Puerto Rican Puig slumped last year, so during the off-season she decided in 2016 she would actually have fun. At least this week, however. Puig will be the underdog against Belinda Bencic, who beat Ekaterina Makarova 6-0 2-6 6-4. There were a lot of fans watching Bencic during the match, including her friend/coach Martina Hingis and her partner Sania Mirza. In the doubles, the No. 1 Hingis/Mirza haven’t lost in months.